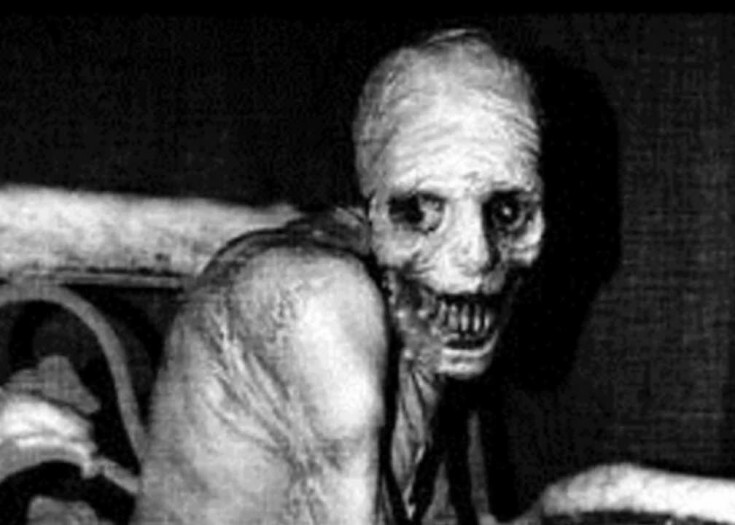 What exactly is this thing called creepypasta? Is it that lasagna atrocity your vegan roommate tried to force on you last week? Nope… unless, perhaps, you found a human finger in it, and when you showed her the grisly evidence, she just stared at you, unblinking… and slowly began to smile. For the uninitiated, creepypasta is an internet phenomenon, but its origins began long, long ago… with the first scary stories told by our ancestors, huddled around the fire, constantly looking over their shoulders for unknown predators. Myths and legends permeate virtually every culture on earth, and the rise of 24/7 instantaneous information exchange didn’t chase those shadows away… in fact, it gave them new, twisted shapes our ancestors couldn’t possibly imagine. With that said, let’s get down to the basics: taking its name from “copypasta” – web slang for a copied-pasted piece of text or image that has gone viral, eventually overshadowing its origins – a creepypasta is an article, story, image or video (some are crafty internet hoaxes, others simply short fiction or artwork) with a distinctly horrific subject, which then takes on new life through repeated dissemination on the web – be it 4chan, Reddit, Twitter, Tumblr, Pinterest, Facebook, YouTube or just about any social platform. While many early examples stem from campfire tales going back generations (e.g. “The Hook,” “Bloody Mary,” or “Poodle in the Microwave”), many popular horror memes begin life in the digital realm, often growing in scope until it becomes difficult to determine the original source… and that mystery is part of what makes them so scary. A quick trip to fact-checking site Snopes.com will usually result in a thorough debunking of most creepypasta tales – often revealing their origins in urban legends, clever pranks, or even extracts from published works (including the nightmare-inducing children’s book series Scary Stories to Tell in the Dark) given a real-world spin. 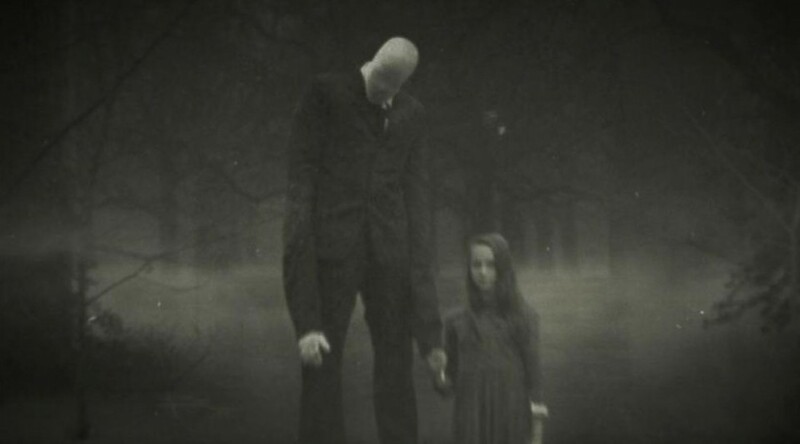 Even those who spend very little time on social media have probably heard of the most notorious of creepypasta subjects: the supernatural figure commonly known as “Slender Man.” The character himself – typically depicted as a tall, thin, white-skinned figure in a suit, with no hair or facial features – reportedly originated in 2009 via Something Awful, a comedy-themed site whose forum users often post inventively altered images. 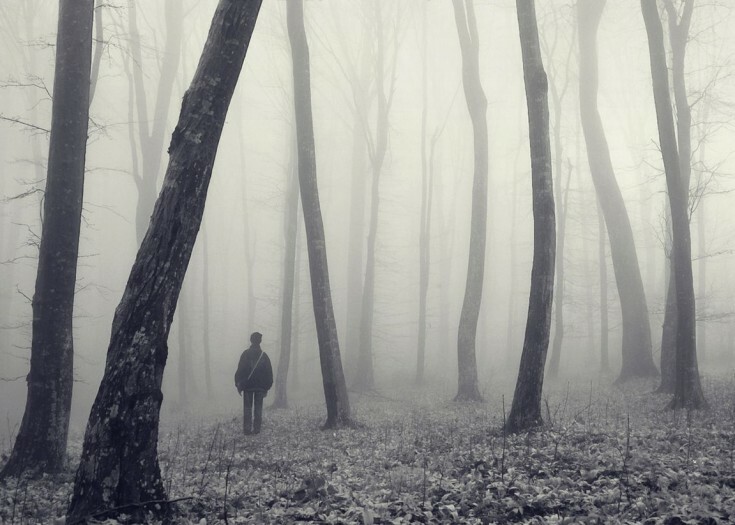 The faceless figure was inserted into a set of vintage photographs via Photoshop, with captions suggesting the photographer(s) went missing shortly after the photos were taken. The character has since inspired a subculture in itself, appearing in fan fiction, art, cosplay, video games and more. He most notably appears as the villain in popular found-footage horror webseries MARBLE HORNETS, where he goes by the nickname “The Operator.” His legend crossed over into reality in the worst possible way last year, when a pair of deeply disturbed 12-year-old fans in Wisconsin confessed to stabbing one of their friends 19 times, claiming to be under Slender’s supernatural influence. Fortunately their victim survived the attack, but the case dragged the phenomenon out of the shadows of horror web-culture and into the public spotlight. For my money, the creepiest, most skin-crawling viral tale is so elegantly simple, so visceral, so grotesque, that it’s been stuck in my consciousness for years. 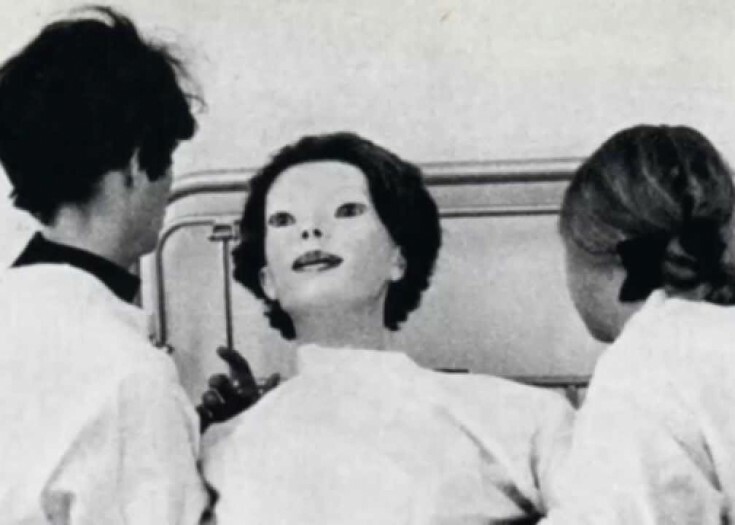 It describes a mute Jane Doe patient admitted to Cedar Sinai hospital in June 1972, whose smooth, pale, mannequin-like face so terrified the staff that many were afraid to tend to her. When she was finally sedated and a doctor approached her, she smiled at him, revealing a mouthful of razor-sharp, pointed teeth… and you can probably guess what happens next. This story was likely inspired by a photograph by Anthony Armstrong-Jones titled “Student Nurses with Waxwork Patient,” from his 1972 book Assignments. That image (shown above) is almost always included with the article wherever it’s shared. If there’s a better example of “Uncanny Valley” syndrome (just Google that term for more nightmares), I have yet to find it. Why are puppet shows so often a source of primal terror? Is it the characters’ flat, expressionless eyes and huge, grinning mouths? Is it the shrill, high-pitched voices? Or is it the idea that effigies made of foam, felt or plastic shouldn’t be standing around having conversations like self-aware beings? 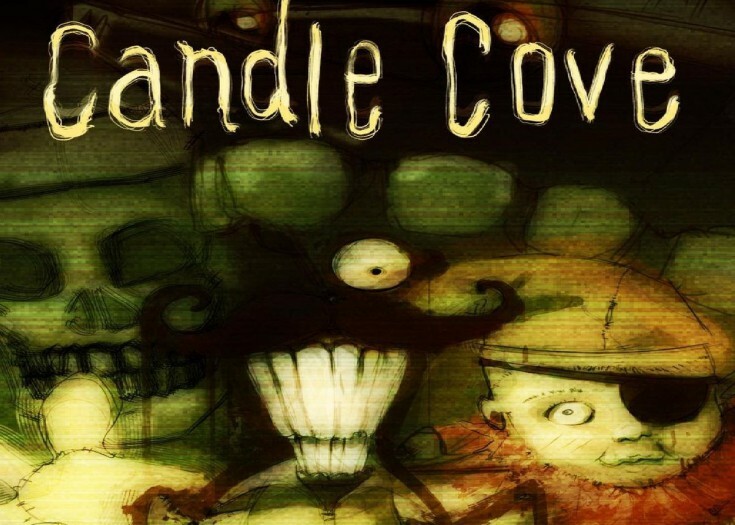 Maybe that’s the source of terror that makes the Candle Cove legend so effective. It began in 2005, with a forum user asking if anyone had seen a children’s TV show by that title. It seemed like a perfectly legit question, but the responses on the same thread were… well, unsettling. Other posters claimed to remember the show as a source of nightmares and unnatural events, including one user who remembers watching the marionette characters (incuding a skeletal villain named “The Skin Taker”) screaming endlessly at the camera for an entire episode… after which the child’s mother claimed they had been watching nothing but TV static for half an hour. 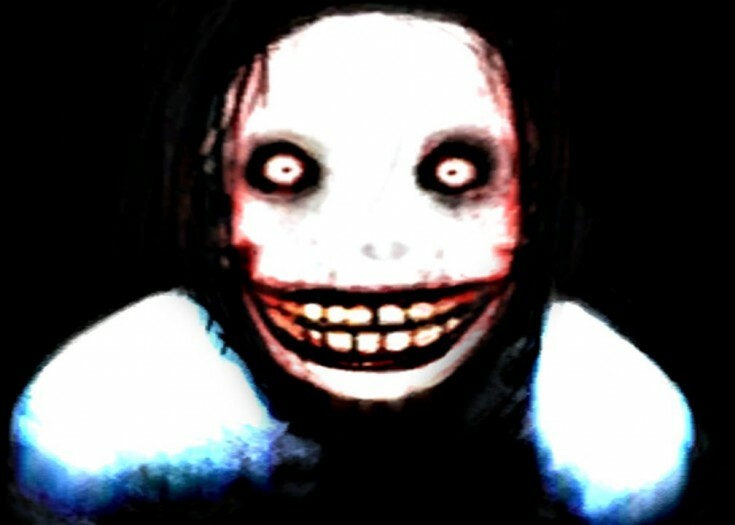 First emerging in 2008 as the image of a featureless face with lidless eyes and a demonic grin, Jeff the Killer probably runs a close second to Slender Man in viral popularity. Numerous stories have been written about Jeff in the years to follow; the most memorable of which involves a bullied boy who mutilated his own face before launching into a killing spree, murdering his own brother while whispering the words “Just go to sleep.” The origins of the image are sketchy, but one popular theory is that it was originally that of a girl who committed suicide, after which someone used Photoshop to transform her last known photo into a grotesque caricature. That’s probably bogus as well, but it does add a sinister meta-layer to the legend. One persistent theme is the rumor of the “forbidden video” – usually an account of homemade footage, an experimental film or an excerpt from a TV broadcast which will have a diabolical effect on the viewer: if you watch it, you will be driven insane or even die shortly afterward. Naturally, the alleged footage is never shown, only described, further fueling the mythical nature of the tale. 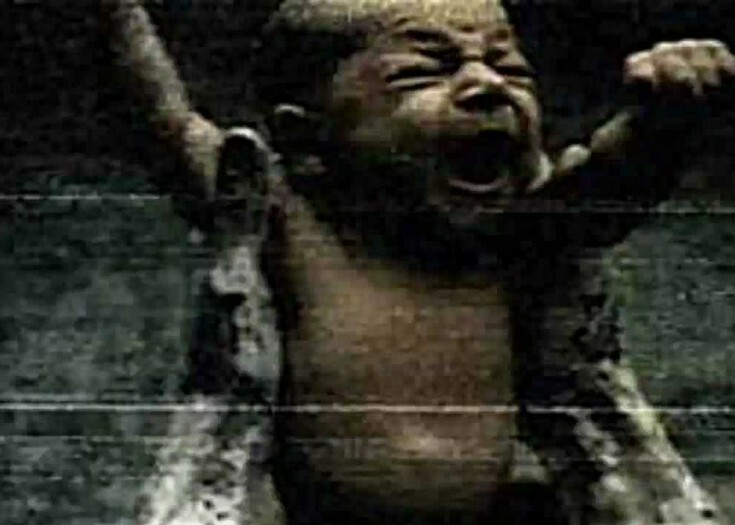 One example, which originated (as many do) on a 4chan imageboard, is the story of “The Grifter,” a video which reportedly contains footage of dead or dying infants, intercut with tracking shots from an unknown location, creepy dolls and other bizarre visuals. As so often occurs when these things go viral, intrepid editors have uploaded a bogus version – mostly comprised of scenes from LITTLE OTIK, a surreal film by Czech director/animator Jan Švankmajer. The vivid details of this macabre tale helped boost its viral power: it centers on five inmates at an unnamed Soviet prison camp who were offered freedom if they volunteered for a 30-day sleep deprivation experiment. After less than a week without sleep, inmates began exhibiting signs of extreme agitation and paranoia; into the second week, they began to scream endlessly, destroying the contents of their cell and blocking the one-way observation glass. After two weeks elapsed, the room became deathly silent… and that’s when the real horrors began. The story doesn’t stand up to scientific scrutiny – the current Guinness world record for staying awake holds at over 18.5 days, and the woman who did it reportedly suffered no harmful effects. Still, the graphic imagery makes this tale stick in the memory; I wonder how those gory details will translate into the recently released short film adaptation? Like Jeff the Killer, this bizarre meme involves a Photoshopped image – in this case, a grainy photo of a dog (usually depicted as a Siberian Husky) baring its horribly human-like teeth in a deranged smile. This photo also comes with a lengthy backstory, usually involving a woman named “Mary E.” who claims to have been driven to madness by opening a .jpg image file of the dog. 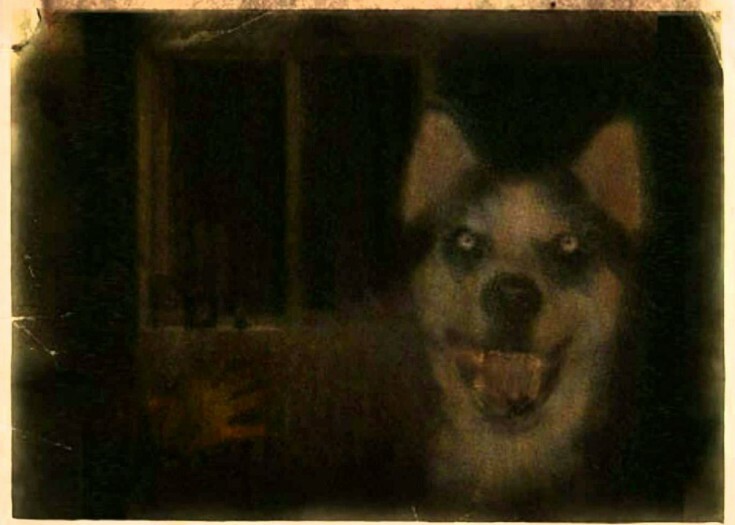 To add to the horror, the author of the meme usually includes an epilogue stating that the “real” Smile Dog image has never been posted on the internet, and what’s being circulated is only a recreation of the original. To view the actual picture would apparently drive the viewer to the same fate as the woman in the story… who, per the author, finally took her own life. Penpal is more unique among creepypastas, as its creator, Dathan Auerbach, planned it as a collection of short fiction from the outset, posting lengthy chapters via Reddit’s popular NoSleep sub (birthplace of many excellent creepypastas), and basing several entries on questions submitted by other users. The result is the evolving saga of a boy who sends aloft a note attached to a balloon, in the hope of beginning a correspondence with whomever finds it. After years without a response, he is surprised to find his effort was indeed successful… until he learns, to his building horror, that this “friend” is not what he first seems to be. Auerbach eventually published Penpal as a novel, keeping the journal structure and joining the stories together into a semi-linear narrative. The rights were optioned for a film adaptation, but I’ve seen no updates on that since 2012. 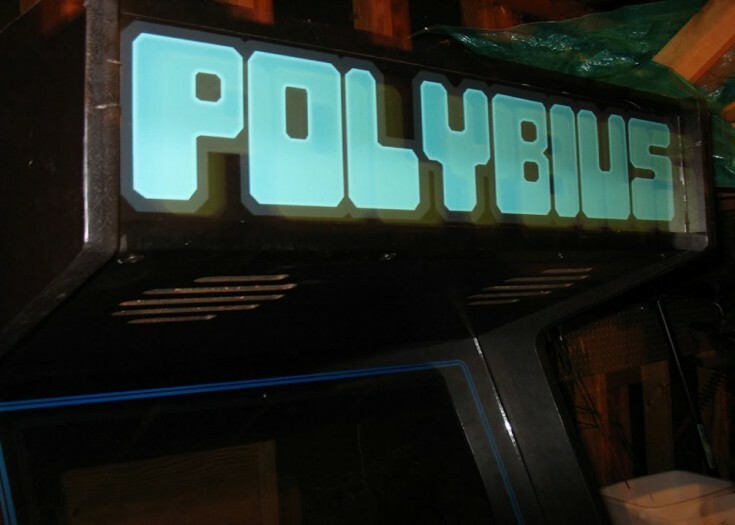 Another urban legend that predates the web by many years, the story of “the world’s deadliest video game” has taken several forms over the decades, but the Polybius tale is the most deeply ingrained in pop culture (so much that it was referenced on THE SIMPSONS). The title game was reputed to be a prototype arcade model, designed by a mysterious German company and released to a handful of arcades in the Portland, OR area in 1981. As the story goes, the game began to trigger strange side effects in the players, who experienced nightmares, hallucinations, migraines and other symptoms. It’s also been said that mysterious men in black were seen inspecting the games just days before the machines were removed from all locations. The legend inspired the short film POLYDEUS by director Drew Daywalt. There are quite a few legends circulating of “lost episodes” or rare outtakes from TV shows that suggest the creators of those programs might have dabbled in the occult or mind-altering technology. 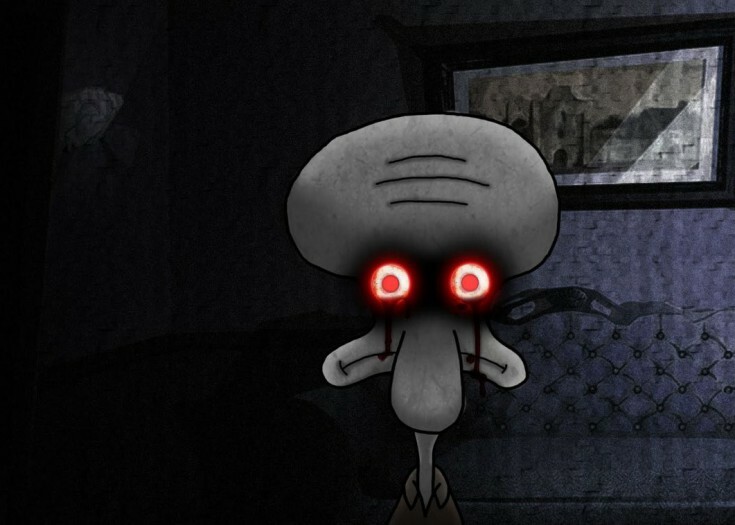 Most prominent among these is “Squidward’s Suicide,” a video wherein the gloomy SPONGEBOB SQUAREPANTS character finally gives in to his angst and takes his own life… but not before a montage of horrific images, bleeding eyes, demonic laughter and subliminal inserts – including, per one account, camcorder footage of murdered children. Another involves a vintage Mickey Mouse short in which the iconic rodent, looking sad and confused, walks aimlessly through an increasingly surreal landscape, his face and body eventually distorting as the soundtrack descends into a cacophony of screams. As with similar legends, the “original” clip has been conveniently scrubbed from the internet… though a few intrepid filmmakers have tried to make their own versions. Yeah, this guy. 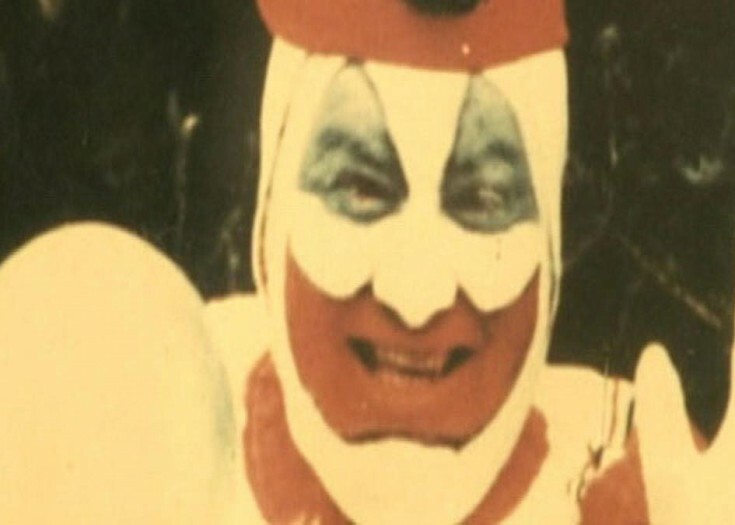 His picture looks creepy enough… but what about all the people who claim to have been visited by him in their dreams, despite having never seen him before? 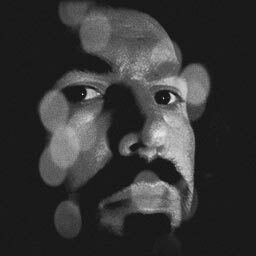 The website thisman.org purports to be a forum for people all over the world who believe they have seen the thick-browed, faintly grinning face when they go to sleep. 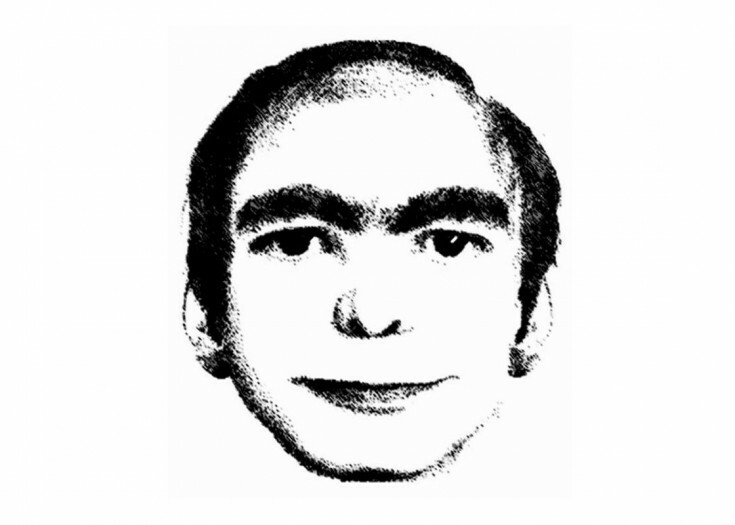 The site contains drawings and other renderings of the man, allegedly submitted by those “visited” by him, as well as photos of flyers asking “EVER SEEN THIS MAN?” posted around the world. The site’s creators deny the project is a marketing ploy or social experiment, but do claim that parties unknown attempted to shut them down on several occasions, and their updates stopped in 2011. But don’t worry… he’s on Facebook now. 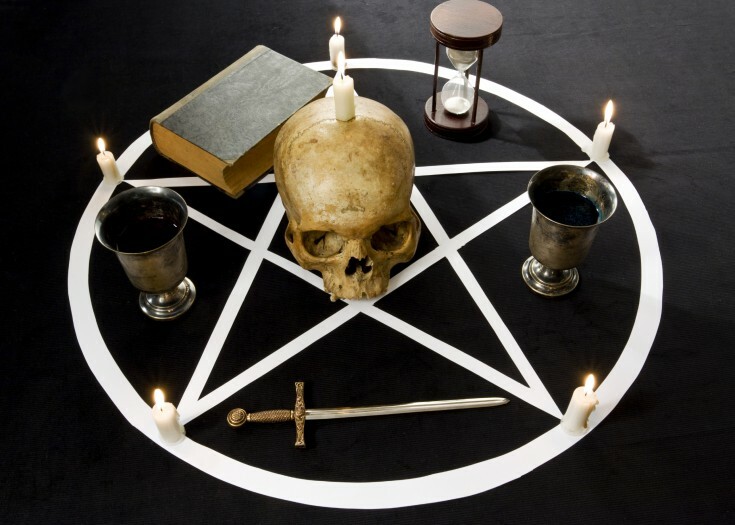 Previous Story Are Silicon Valley Executives Practicing Witchcraft?